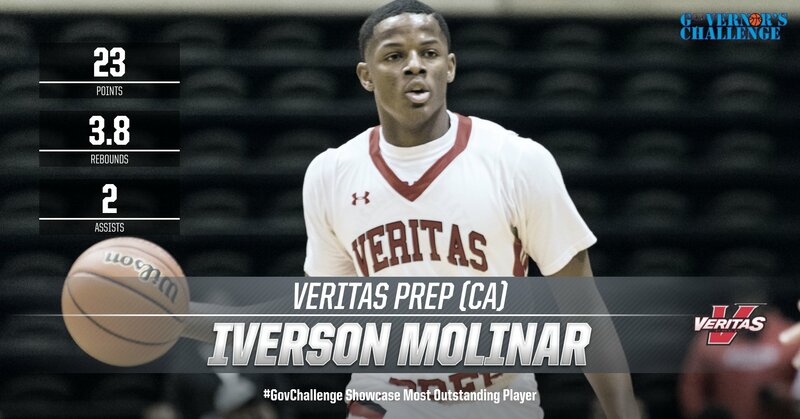 Veritas Prep (CA) guard Iverson Molinar put on a show. Veritas Prep (CA) 2019 Guard Iverson Molinar. After an opening loss - that came after coming straight from the airport to the court - Molinar and Veritas rebounded in a big way. The Mississippi State commit averaged 23 points per game while leading Veritas to three straight wins against Legacy Early (SC), Lincoln Academy (Ga.) and Virginia Academy to close its inaugural Governor’s Challenge trip.